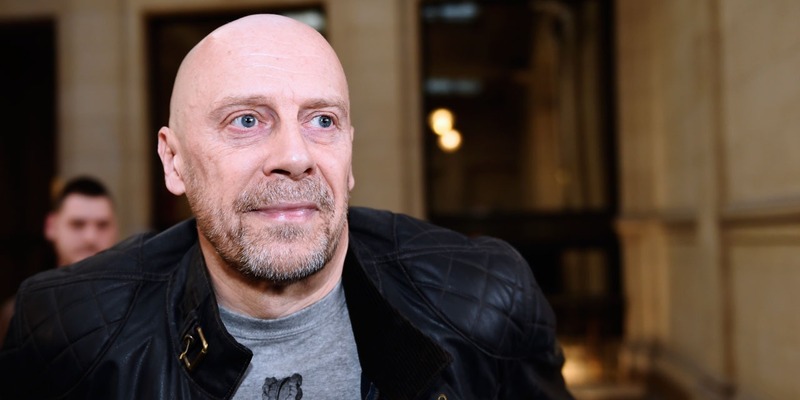 Alain Soral was sentenced Monday by the Paris Criminal Court to one year in prison with an arrest warrant for challenging the existence of the Holocaust. The far-right essayist Alain Soral was sentenced Monday by the Paris Criminal Court to one year in prison with an arrest warrant for challenging the existence of the Holocaust. Soral, whose real name is Alain Bonnet, 60, was convicted for publishing on his website contentious findings by his lawyer in another case. He was not present at the reading of the deliberation. His counsel, Damien Viguier, was sentenced to 5,000 euros fine for complicity, because of the content of these conclusions. The court went beyond the prosecution's prosecution for Soral, which has already been condemned several times, notably for provoking racial hatred. At the hearing, on March 5, the prosecution had asked six months hard against him, and 15,000 euros fine against his lawyer. Both will have to pay one symbolic euro of damages to four antiracist civil parties, as well as 1,500 euros in legal costs, jointly and severally, to each of them. In 2016, the site of Alain Soral, Equality and Reconciliation, had published a drawing representing on a titled "Chutzpah Hebdo" the face of Charlie Chaplin before the star of David, with in a bubble the question "Shoah where t" es? ", referring to a controversial" Charlie Hebdo "after the attacks in Brussels," Dad where are you? ". For this publication judged negationist, Soral is definitely sentenced to 10,000 euros fine, with the possibility of imprisonment in case of non-payment. In November 2017, the same site published the conclusions of his lawyer Damien Viguier in this case, which included a shoe and a wig represented on the condemned drawing, "Chutzpah Hebdo". "Shoe and hair refer to the places of memory organized as places of pilgrimage, there are staged heaps of these objects, to hit the imagination," wrote the lawyer. "The haircut is practiced in all places of concentration and can be explained by hygiene," he wrote again, then quoting the Holocaust denier Robert Faurisson. With regard to two other details of the drawing, "soap and lampshade", the lawyer claimed that the soaps made from human fat by the Nazis or the lampshades in human skin were only "propaganda of war". The Licra and the Union of Jewish Students in France had reported these remarks to the prosecutor.